CURRENTLY ON SALE - 50% OFF THIS WEEK! Check out these awesome new electronic fish that swim when placed in water and stop swimming when taken out! 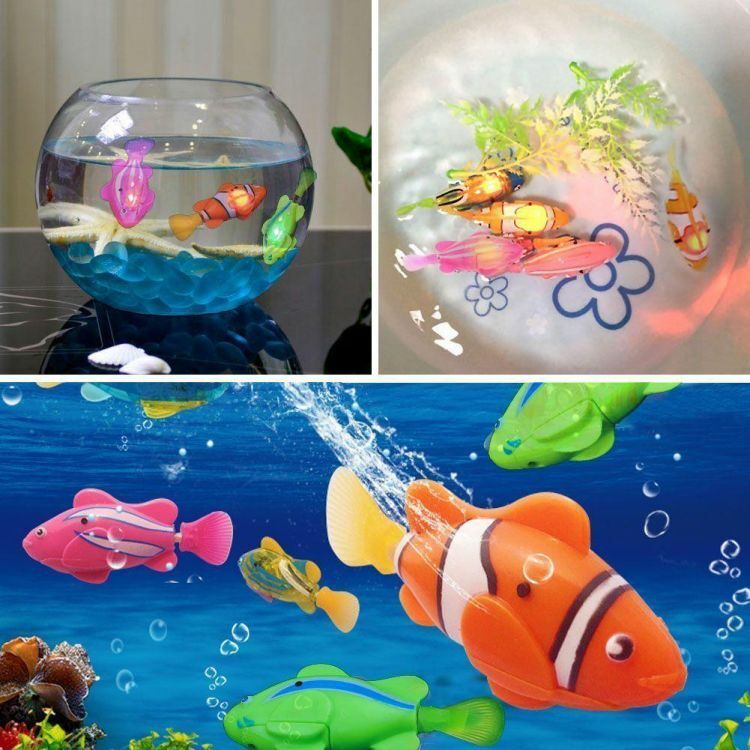 Kids love these fish - they are based on characters from the hit motion picture! Batteries are included, and each purchase contains four (4) individual fish. If you change the 'Quantity" to 2, you will in fact receive 8 Robo Fish. Not recommended for children under 5 years of age. SELLING OUT - ORDER NOW & SAVE!